There is no road to the White Sea Biological Station, which sits at latitude 66° N on the cusp of the Arctic Circle. Located on the shores of its namesake, the White Sea, the only way to get there is by boat in summer and snowmobile in winter since the waters of Kandalaksha Bay are frozen six months out of the year. ‘Just prior to the Supermoon of March 18th, 2011, the world witnessed a natural and manmade disaster of epic proportions. What transpired off the coast of Honshu Island, Japan on March 11 has forever altered the planet and irremediably affected the global environment. Whereas the earthquake and tsunami proved to be truly apocalyptic events for the people of Japan, the ongoing nuclear disaster at Fukushima is proving to be cataclysmic for the entire world. The bodies of hundreds of pelicans have been found in Peru on the same beaches where almost 900 dead dolphins have washed up over the last month. The government said they will investigate the deaths of almost 600 birds found along a 70km stretch of northern coastline – the majority of which are pelicans, but also include gannets. The fisherman’s association in Puerto Eten, north Peru , said it found around 1,200 dead pelicans last week along a 170km string of beaches. 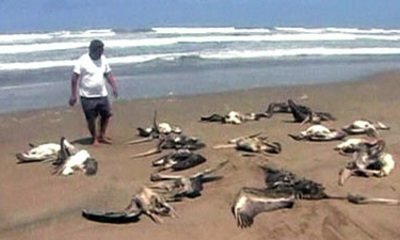 Peru’s Institute of the Sea’s regional chief, Edward Barriga, described a similar event in the area from 1997 when a lack of anchovies resulted in the deaths of pelicans and cormorants. At the time, the El Nino meteorological phenomenon was blamed for the lack of food. 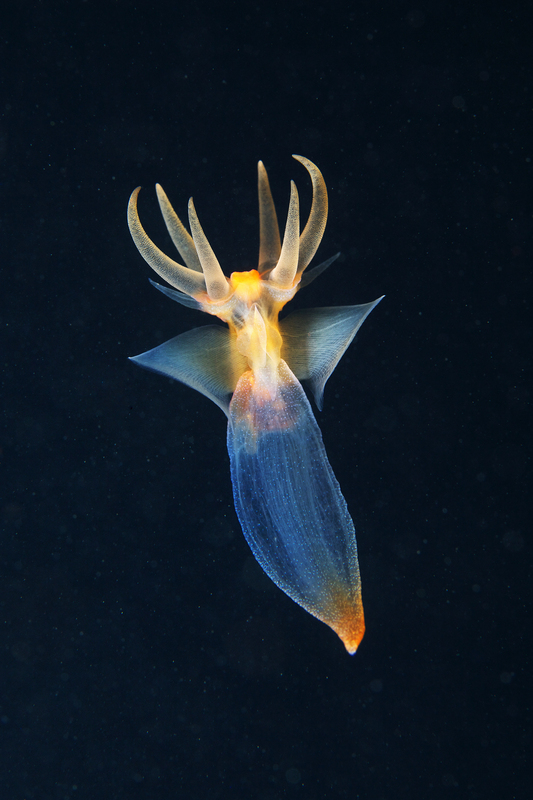 It occurs in the Pacific Ocean around every five years and results in variations in the temperature and pressure of the sea. Over the last month the bodies of as many as 877 dolphins have also washed up in the region, which is approximately 700km northwest of the capital, Lima. 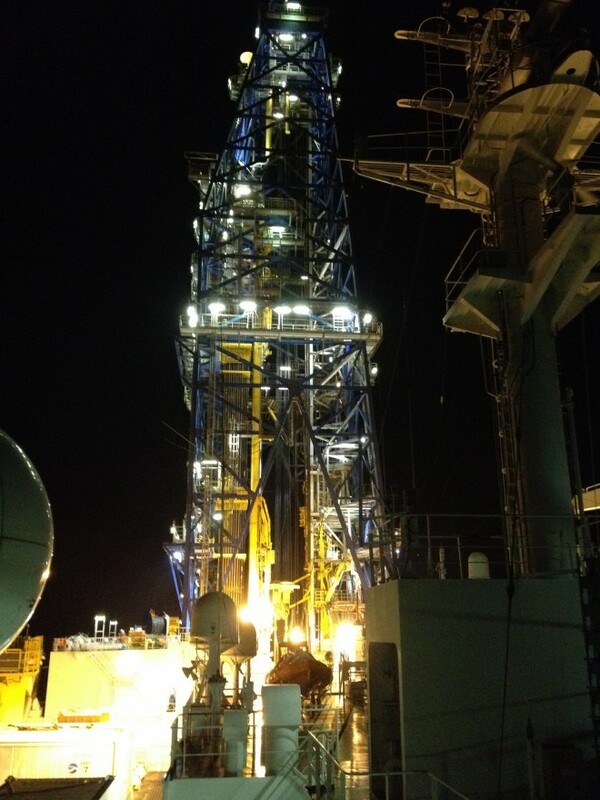 Officials are looking into whether a virus or seismic tests that have been carried out nearby could be the cause of the deaths. But the government’s fisheries minister said that based on the evidence available they had not found a relationship between the animal bodies and tests related to the exploration of oil. ‘Even as climate alarmists amplify their call for a worldwide tax on carbon dioxide emissions in the name of preventing global warming – penguins, polar bears, Himalayan glaciers and Arctic sea ice are all thriving.